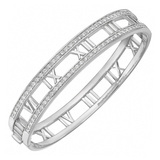 "Atlas" bangle bracelet, featuring a row of near-colorless round diamonds on either side of openwork Roman numerals, in 18k white gold, stamped '2003' and signed 'TIFFANY & CO'. 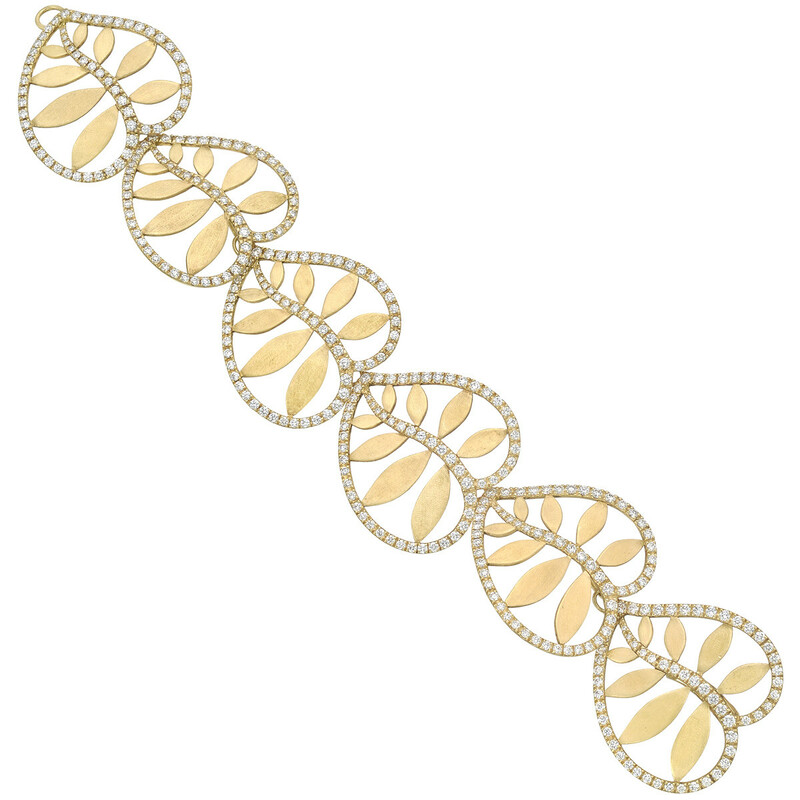 Round brilliant-cut diamonds weighing approximately 0.91 total carats (F color, VVS1-VVS2 clarity). 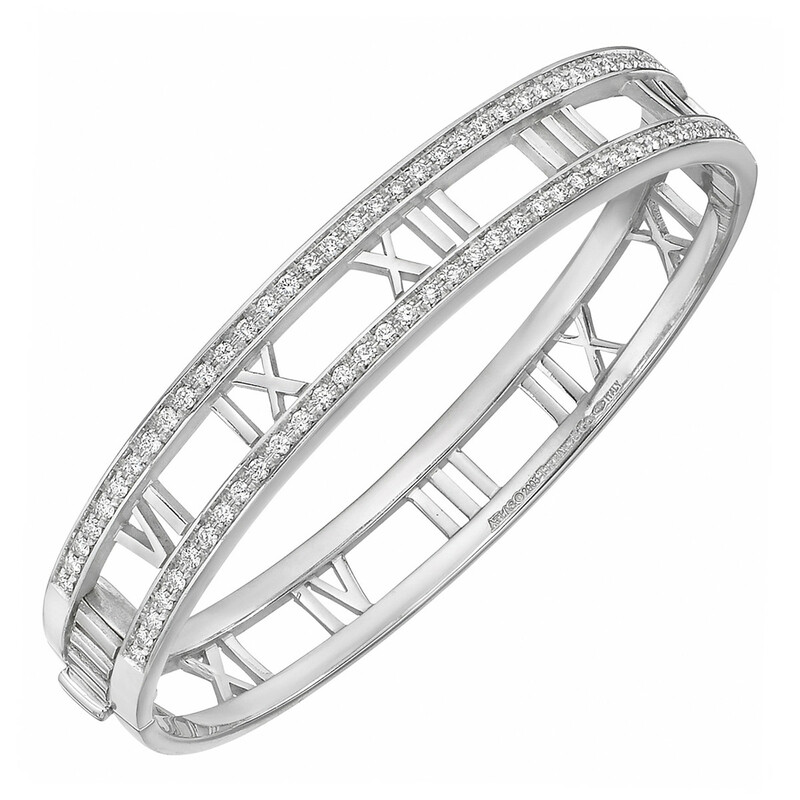 Diamonds set to the front of the bangle, the backside of the bangle simply in polished 18k white gold. Accompanied by the Tiffany bangle box. Interior dimensions: 2.25" x 2". 0.35" thick (9mm).